Recently, we had the chance to sit down with one of our attorneys J. Brock McClane to discuss his appointment as an Honorary Consul of Germany. Our firm is very proud of his service as an Honorary Consul of Germany and wanted to share this exclusive one-on-one interview with our readers so you can get the inside scoop on his responsibilities and what the position means to him. Fisher Rushmer: Thank you so much for taking the time to talk. We know that you were chosen to be an Honorary Consul of Germany in 2010, but we’d like to hear more about that position. What is involved in being an Honorary Consul of Germany? J. Brock McClane: First, it's an appointment by the president of Germany, in my case President Horst Köhler, to essentially be a government representative embedded in this country. Like any other career consular officer, the Honorary Consuls have to be approved by the US Secretary of State; Secretary Clinton approved me. Sometimes proposed appointments are rejected when the Secretary of State perceives that there is too high of a concentration in a particular area. So it's something that's taken as seriously as any other consular appointment from the United States standpoint, and most of the Honorary Consuls, at least in the case of Germany, are nationals of the country in which they serve. So I'm an American although I'm representing the country of Germany. Those who work for Germany as Honorary Consuls effectively answer to and are under the jurisdiction of the Consulate General with jurisdiction over the territory in which they're located. The Consulate General that has the authority over Florida, Puerto Rico, and the US Virgin Islands is located in Miami. So the Miami Consulate General is in effect my superior office. I serve along with two other Honorary Consuls in different territories of the Consulate General's territory. There is an Honorary Consul based in Tampa and one based in San Juan, Puerto Rico. So, that's sort of the political or official hierarchy. I describe my responsibilities in three ways. I'm like a Consulate General but with more limited authority; I render citizen services in the sense that if someone needs to sell real property in Germany, they often need to execute a power of attorney or a ratification so that someone can handle the transaction for them before a “notar” in Germany. Such property sales documentation or powers of attorney must be executed before a consular officer, if the seller is not in Germany. The consular officer in effect serves as surrogate notar overseas. So, if they happen to be in Orlando or points north of Orlando, they can use me as the Honorary Consul for Germany in Orlando instead of going to Miami. That's one example of citizen services that I handle. In addition to handling the powers of attorney and ratifications, it’s also my job to make sure that German nationals within my assigned area in Florida who have a brush with the law are not being treated differently because they're German. That may happen if they're not able to understand English, which is rare. Most travelers to the United States from Germany know conversational English, but not all. And some don't understand it well enough to understand legal aspects of English, so that can be an issue. And in nearly all cases the legal system can be a mystery to them. I do not serve as counsel to detained Germans, but you never know what the issue is, and we don't want to create a disparity between the treatment of our German friends and the citizens of the United States. Another thing that I do is to promote business ties between Germany and Central Florida and to celebrate German culture in whatever way is appropriate. For example, I cooperate and collaborate with the Bach Festival Society of Winter Park. Bach is the biggest cultural rock star in German history, so it is a way to celebrate German culture when we celebrate Bach here in Orlando. I also like to connect businesses in Florida with German businesses because companies that are doing business in Germany like to promote German culture as well, so that works hand in hand. So, the Honorary Consul to Germany position really involves those three things: citizen services, promoting German culture, and promoting business ties. Fisher Rushmer: Recently you welcomed the new Consul General of Germany, Annette Klein, to Orlando. Is she the one in Miami that's over you in your position as Honorary Consul? J. Brock McClane: Yes. She is a career diplomat with the German Foreign Office and I am an Honorary Consul with the Foreign Office. So we're both under the Foreign Office in Germany, which is akin to our Department of State, but in Germany. She is the head of mission of the Miami-based Consulate General. So yes, I answer to her and she is resident in Miami, but she will likely rotate out of Miami after three years. I will remain here in Orlando in my honorary consul position. She's not new to the job of being Consul General, but she's new to the job of being Consul General here in Florida. That is why we brought her to Orlando to meet people here in the state, because we are part of her territory. I am effectively an extension of her office and have a territory in Orlando, but she's responsible for all of Florida. I perceive it to be my job to make sure that she understands the character of our part of the state and business interests here, particularly the German interests here. Fisher Rushmer: So she's been a Consul General for a while, but she's new to Florida as the Consul General? J. Brock McClane: That's right. She did a tour of duty in Jeddah, Saudi Arabia, in Kabul, Afghanistan, and she has worked in Berlin. And generally, Consular Officers rotate through Berlin periodically doing different jobs at the main office. And that's something that distinguishes career Consular Officers from Honorary Consular Officers because we stay put. So the people in our area know who we are and we're not moving around. We're here effectively for a lifetime appointment. That said, we do have training in Germany. Every other year since my appointment, the North American Honorary Consuls of Germany have met in Germany for a week-long study trip, always including Berlin and one or two other German states (or Länder). Fisher Rushmer: Why do you think you were chosen for this position? J. Brock McClane: I've been in this position since 2010 and I think one of the reasons I was chosen is because I am a lawyer practicing in the international business space, so I am already very interested in our community ties outside of the country. My function as a Florida lawyer dovetails well with different aspects and requirements of the job. The office of my law firm, Fisher Rushmer, also serves as my official consular office. There is a shield at the 21st floor lobby of Fisher Rushmer, P.A., our secondary lobby, which has the official German eagle on it. It designates that the Fisher Rushmer office is also the official consular office of my position. I think the position of Honorary Consul lends itself to lawyers because, when it comes to citizen services, we understand clients. We understand people who need to be served, and we're not working out of our back door or bedroom, so I think that's probably something that was taken into consideration by the Foreign Office when I was recommended to President Köhler for appointment. Fisher Rushmer: And you mentioned that it's a life appointment, right? J. Brock McClane: Life, which is defined as work life. So in Germany that's until the retirement age, which is 67. Some people remain in office for longer than that, but I expect to probably be asked to begin gathering my belongings when I'm approaching 67. Fisher Rushmer: Does this job require you to go to Germany very often? J. Brock McClane: I travel to Germany a few times a year for work no matter what because I practice in International Law. I'm board certified in International Law so that is part of my practice. But, as I mentioned, we also have study missions to Germany. We also meet in Washington DC on the off years, or at least that's been the case since I took office in 2010. The honorary consular post is a completely different dimension in life for me. It's not practicing law; it's not serving on the board of a philanthropy; and it's not being an elected US or Florida government official. It is interesting, and I really enjoy it. Brock is Of Counsel with Fisher Rushmer, P.A. His practice centers on commercial litigation and business planning including international estate settlement, trustee services, international litigation and fiduciary litigation. 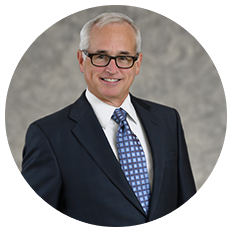 He is a Certified Circuit Court Mediator and is board certified in International Law. For more information, please visit his profile here.